1. Go to the System > Maintenance > Archives page. • Profile name — Configure a meaningful name for the profile. Note: Configuration from the Network > Settings > Address object manager page is automatically backed up.  Port Groups — All configuration from the Network > Settings > Port groups page. This setting is replicable. 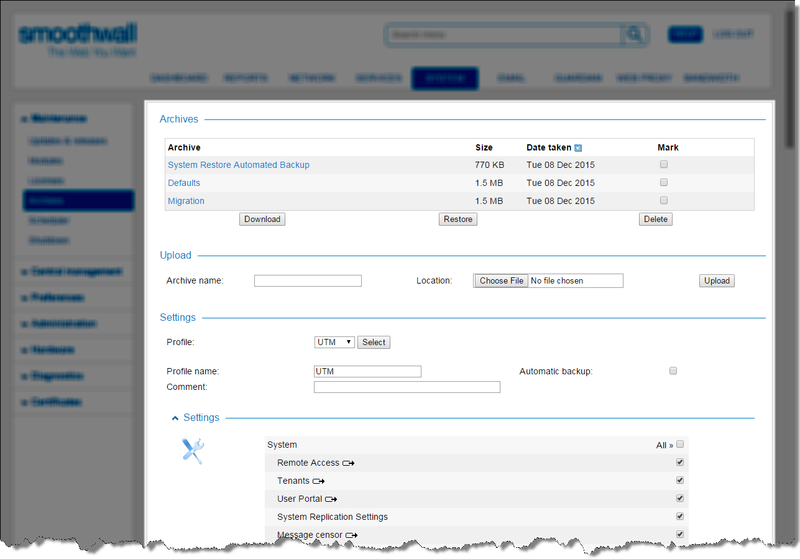  Bandwidth management settings — All configuration from Bandwidth > Control pages. This setting is replicable.